It resulted after a nationwide initiative in 2005. Channel 5's...valerie gonzalez explains their role. 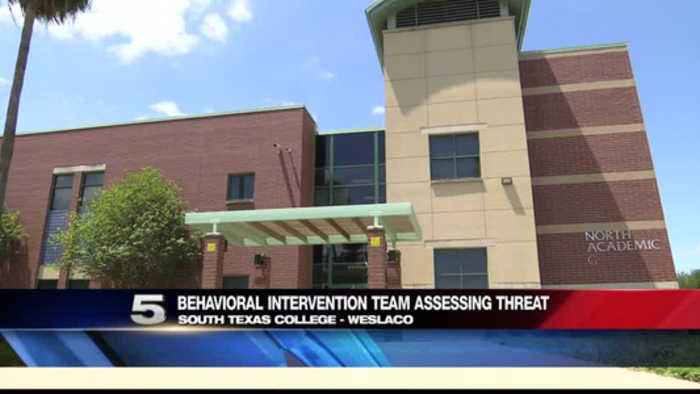 Weslaco resident south texas college has a behavioral intervention team... known as b.i.t. They work to evaluate risk or assess risk after an incident happens like the school threats recently. Dean of student affairs paul hernandez explained that bit resulted after a nationwide initiative in 2005. The team starts working as soon as an incident is reported. They are trained to weigh factors in each case to grade how how the level of the threat is. "it varies depending on the threat level. It could be a verbal threat. It could be weapons on campus. Of course, that would increase the risk." That score is sent to those on campus who decide what disciplinary action to take against the student. Depending on the threat level, they can also consider treatment options like counseling. The team is also trained to identify red flags and other behavior that can lead to an incident -- this way they can intervene before it happens. Dean hernandez said they've seen an increase in incident reports from around the college. They continue encouraging students, faculty and staff to report suspicious behavior so they can prevent it from becoming a tragic event. In the studio, valerie gonzalez, channel five news at six.